Step 3: Chuck the LEDs and sand into the thing and run it overnight. 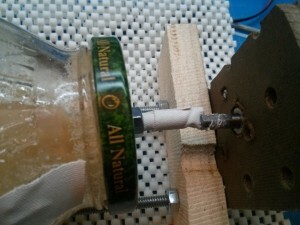 Use an orbital sander to wiggle the jar. It’s super load loud and doesn’t do much. Add water. This just gives you corroded LEDs that arent even diffuse. Run it with so much power that centrifugal force sticks everything to the sides and it vibrates itself off your desk overnight. Run it with so little power that it stalls. 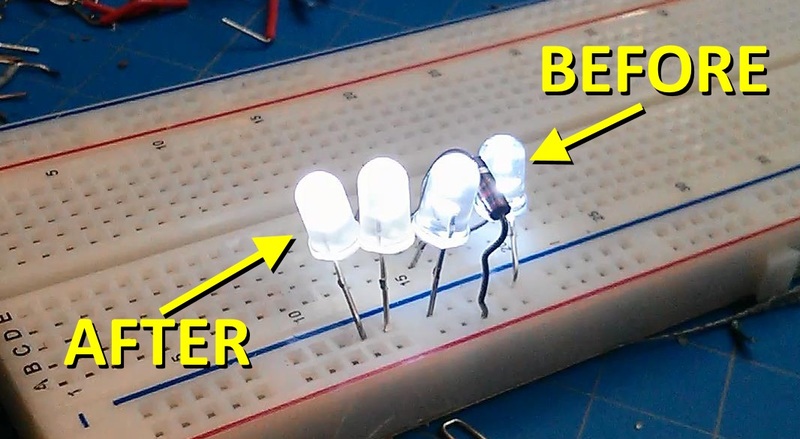 Fail to own a variable power supply so that your only choices are 12V and 9V (see above). Make your first shaft coupler out of gaffer tape. I ended up designing and 3D printing a simple shaft coupler. 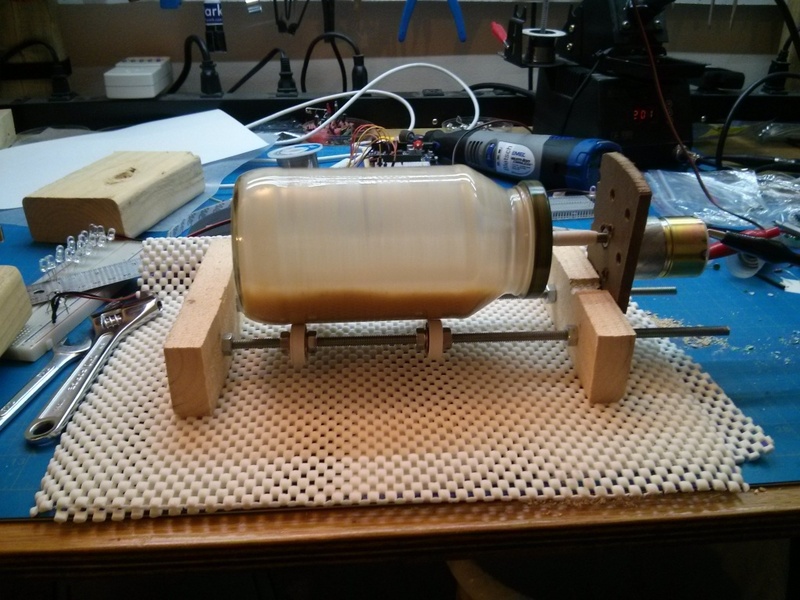 This entry was posted in Electronics crap by Tyler Bletsch. Bookmark the permalink. Oh yes. The best part is that I started the first run, set up a webcam, then left to proctor an exam (I teach at NCSU and Duke). I put the webcam on the projector at the exam and told students if it caught on fire the exam would be rescheduled. Well, instead of catching on fire, it was already dead on screen. Turns out the gaffer tape coupler had come undone almost immediately after I left. Super lame.